WEEK 8 Stakes for Telegram, Twitter, Content Creation and Signature campaign have been added on the spreadsheet. All signature campaign participants can now remove/change your signatures. and will be sent directly to your ETH wallet addresses. He will start distributing bounties anytime soon. Distribution will start within 2-4 weeks after the bounty campaign ends. No tentative date for now. This thread will be locked to avoid unnecessary spam posts. Bounty campaign will end on March 11, 2019. Bounty distribution will be done within 4 (four) weeks after bounty campaign ends. bL4nkcode is the official escrow for this campaign. All the Bounty Stakes, rules, qualifications, tasks are made at Daxico & Bounty Manager's discretion; Daxico & Bounty Manager reserves all right for changing it. *Received negative trust while enrolled in the campaign with heavy trust issues. *Enrolling multiple accounts into any campaign categories. Daxico Team and the Bounty Manager is authorized to disqualify the participant and will not be eligible for any rewards. Bitcointalk Account rank must be Copper/Jr. Member or higher. The content should be original, have a minimum of 650 words and must be written in English. Other Languages will NOT be credited. The content must contain minimum two supporting links to DAXICO website (https://daxico.com/). Video entries should be made in English (Other Languages will NOT be credited) and should focus entirely on DAXICO's unique features and at least 2 minutes long and with Human voice only. Published contents/video must contain bitcointalk username and bitcointalk profile link written for verification of authorship. Duplicate contents posted across many other media outlets will only count as one and only 3 entries per participant will be accepted. Blog Accounts & Youtube channels must be 3 months old and have at least 200 subscribers (for youtube). Plagiarism or copying one's content and submitting it as your own will not be accepted, and will result to disqualification. Content (article / blog posts / videos ) submitted will be graded depending on the audience reached, authenticity, and relevance to DAXICO EXCHANGE. Participants must have satisfied the qualifications/rules & tasks by following the rules/qualifications/tasks to be eligible for stakes. Write/create a blog, video or an article about DAXICO and publish it on a blogs or on your own crypto-related website. Submit the published content/video link on DAXICO bitcointalk bounty campaign thread using the form specified above. Twitter account must be Open for Public access. Locked/Private accounts will not be accepted. Any participant can only register 1 (one) Twitter account for participation. Enrolling multiple accounts will result on disqualification. Tweets about DAXICO must contain a hashtags: #DAXICO #DAXICOEXCHANGE and must be consist of at least 10 words describing about DAXICO. Retweet only tweets made by the DAXICO official Twitter Account. Minimum and Maximum of 4 Tweets and 3 Retweets per week to qualify for weekly stakes. No daily limit for tweets & retweets. Cheating by submitting/using past weeks tweets/retweet or duplicate links on reports will result to disqualification. Weekly reports must be submitted by posting on this bounty thread on weekly basis. Create a new post when submitting new reports. All participants must complete the require number of tweets and retweets per week, rules and qualifications in order to be eligible weekly stakes. Stakes will be added to the spreadsheet after the weekly deadline: Monday, 23:59 Midnight UTC. Retweet at least 3 tweets from DAXICO Official Twitter Account. Submit your weekly reports by posting on this bounty thread using the format below on or before every ending of the week for validation. Newbies who has Copper Rank upgrade is accepted and will be given Member rank stakes, provided they wear member rank signature codes & personal text. We will only count up to 5 local board posts. Excess post on local boards will not be counted. Spam posts, posts that we're deleted by mods and Posts in the sections/boards below will NOT be counted. Any Participant can only enroll 1 (one) bitcointalk account in this campaign. Negative trust rated accounts might be accepted depending on their trust rating issues/reference and can be disqualified without any notice. All participants is NOT allowed to advertise any other company/websites/campaigns in their signatures other than DAXICO. Accounts must be 4 (four) months old, prior to the start of this bounty campaign. Accounts must be Open for Public access for us to verify your posts/shares. Locked/Private accounts will not be accepted. An Individual can only register 1 (one) of each accounts for participation. Participants must stay on DAXICO's Telegram Group and Bounty Group until the ICO ends. Participants must actively participate on discussions on DAXICO's Telegram Group and Bounty Group until the ICO ends. Submit proof of authentication on this bounty thread using the format below. Fill up the Registration Form above with all the needed information. 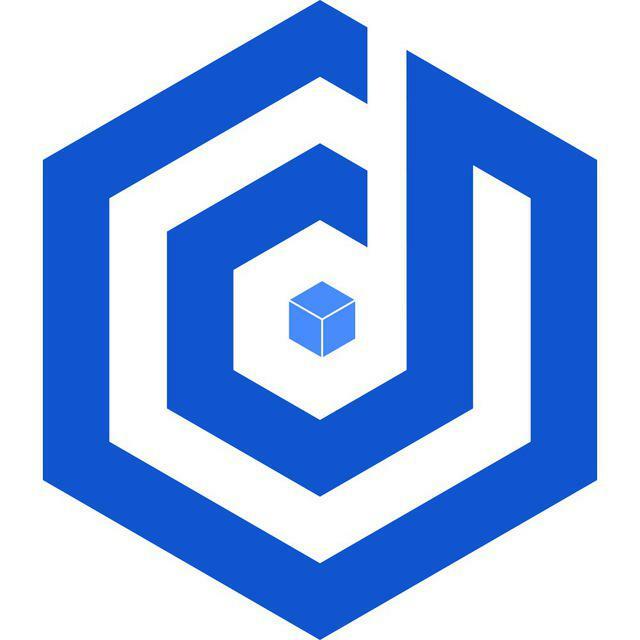 Wearing avatar & DAXICO.com on your telegram name doesn't entitle you to earn weekly stakes if you do not join the DAXICO's official telegram groups. Actively participate on discussion on telegram group and channel until the ICO ends. Note: Bug Bounty Campaign Category will be managed by the DAXICO Team. The bug bounty entries could concern with the network security, graphic design, or anything related to DAXICO EXCHANGE and so on. Question: When will the bounty campaign end? Question: When will the bounty be distributed? Answer: Within 4 (four) weeks after the bounty campaign has ended. Question: Registration on the DAXICO Exchange Required? Question: What is the USD value of each DAXI Tokens? Question: Where will our bounties be sent? Answer: Your Ethereum Wallet Address. Question: Where can we submit our inquiries or concerns regarding this bounty campaign? Question: I sent the wrong ETH Address on the participation forms, what should I do? Disclaimer: I am only the Bounty Campaign Manager for this project. I am paid only to manage this bounty campaign. I will not be held responsible should the developers/project's team fail to reach their stated goals/obligations to the bounty participants, investors and everyone else. Join (on this bounty campaign) or Invest (on their ICO) at your own risk.